If you’ve had bed bugs, you know that the damage they inflict is largely psychological. Yes, they feed on human blood, and if you are allergic the bite marks they leave can blow up to painful welts, but long after you’ve healed, long after they’ve been exterminated from your living space, their presence lingers. Any piece of black lint becomes a reason to drop everything and scrutinize to make sure they didn’t return; any communal space outside your home can inflict paranoia as a potential spot where you may pick them up. Unlike other household pests, bed bugs aren’t known as significant disease carriers (they don’t typically travel far or at all once they find a host and thus tend to feed on relatively few humans). Their presence is their primary infliction. Police visited Butler’s home in Hanover on West Baltimore Pike where they say they observed another elderly woman in her care. 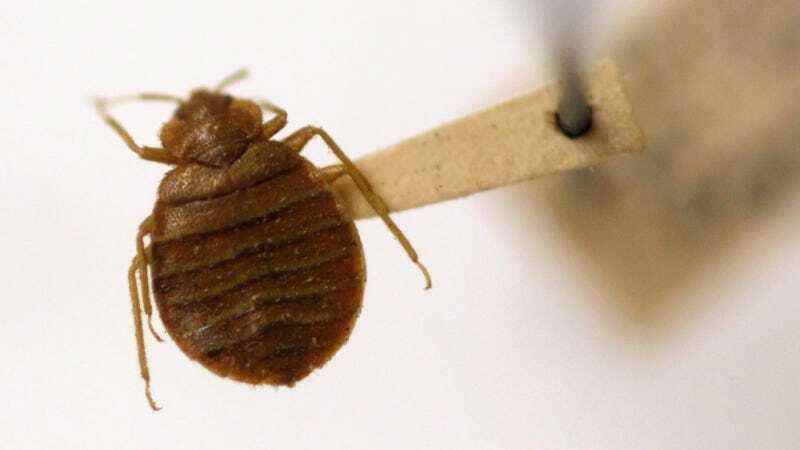 Police say the home was so severely infested with bed bugs, they could see them crawling on the residents’ bodies, pillows and all throughout the home. Butler told police she had been working to get rid of the bed bug problem since September 2015, but was unable to fully resolve the matter, adding she could not afford to pay for an exterminator. Witnesses said they observed Stoner “all bruised” and “moaning in pain.” Butler claimed that she took Stoner to the doctor in January 2016 because she was “scratching her neck” and “sick to her stomach,” but said it was caused by anxiety. She didn’t tell the doctor about the bed bug infestation at the assisted care facility she runs, and so Stoner was diagnosed with a scabies infection. CBS21 reports that when Stoner’s daughter picked her up, she noticed her mother had severe skin rashes. Stoner was taken to the hospital, treated, and released. Two days later she was readmitted for pneumonia and then died. Butler has been charged with neglect and involuntary manslaughter.